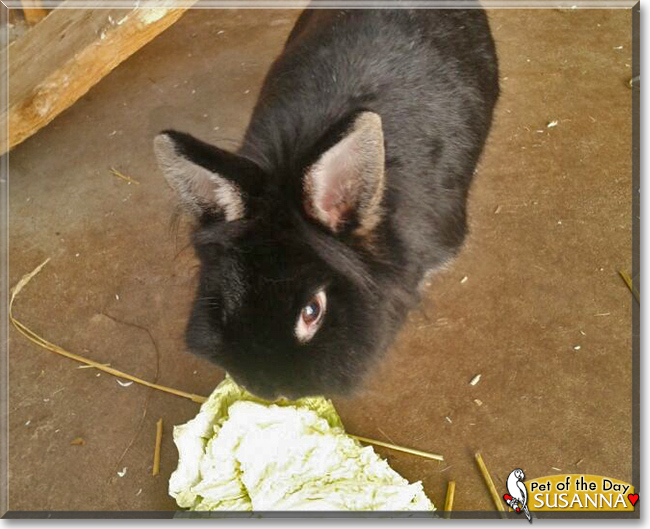 "Susanna the Lionhead Mix Rabbit, the Pet of the Day - December 06, 2015"
This is Susanna my rabbit, she is six years old, and she is a Lionhead mix. She lives in a garden, in her own little house. She is nice and cozy there in the winter, but likes summer best. I love her. During sunny weather she is free in our garden with me. Susanna loves rabbit food, carrots and corn. When I am on the phone with my friends, she runs away, and I must catch my rabbit. It is obvious she knows when I am not paying close attention, naughty bunny! Susanna was 12 weeks old when I met her. We were just instantly bonded. She is and will always be my best friend forever <3. Talk about Susanna in Pet Talk!